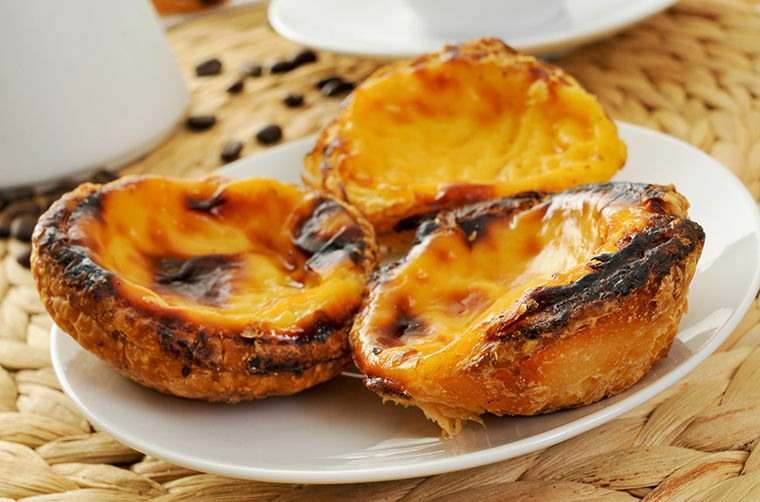 Lisbon is just the right city to indulge yourself with the delicious bites and drinks from the Portuguese cuisine. Here are the must taste dishes and beverages from Lisbon. There is something interesting about Portuguese cuisine: It is a dessert rather than a dish that comes to minds first when the deliciousness of the cuisine is talked about. That is why Pastel de nata comes on the top of the list to try when in Lisbon. Pastel de Nata, also known as the Belem Tart is a Portuguese egg tart pastry. Although its origin is Portuguese, it is possible to find it in a number of other countries including Brazil, Angola and Mozambique. There are a lot of places in Lisbon that bake and sell the Belem tart however the most famous is Fábrica de Pastéis de Belém in Santa Maria de Belém. It is the best when it is served fresh from the oven. If you like seafood your journey to Lisbon will be a like a festival. All types of seafood can be found in nice restaurants and they are comparatively cheaper when other countries in Europe is kept in mind. However, the must try seafood dish In Lisbon is Bacalhau, which is the Portuguese word for cod fish. The difference of Bacalhau in Portugal comes from its being dried and salted. It is actually one of the few things that shape Portuguese people’s daily eating habits, so you will see it almost in every super market. In addition, it is also regarded as a celebration food and cooked for Christmas especially in some regions of Portugal. This is actually Porto’s regional dish however if your time in Portugal is only limited to Lisbon, you may want to try this literally “meat sandwich” when in Lisbon too because there are places serve Francesinha there, too. Francesinha, which means “Little French Lady” is a sandwich with roasted meet, sausages, ham and linguçia. Wait, this is not it: it is also covered with melted cheese and served in hot, thick tomato sauce. It is usually served with French fries. The portion may be a bit large for a person so sharing only one may be a good idea. Wine is the sole reason why some people fly to Portugal and they have a reason for that. Some of the world’s best wines are seeded in Douro Valley in Portugal and it is almost always possible find an exquisite bottle of wine for unimaginably cheap prices. So in Lisbon, you have to make sure to try some regional wines and take a couple of bottles with you back home. In addition to the classic Portuguese wine, you may want to give a try to the famous Porto wine as well. The variety may not be as wide as as it is in Porto however you can still get an idea of what kind of a taste it has. Remember, Port wine has a higher level of alcohol when compared to regular one and it is sweet; when these two come together the effect of alcohol may show itself sooner than usual. The port wine is consumed as a digestive after the meals.